It’s the end of the line for a pair of wildly popular alt-history series—or is it? 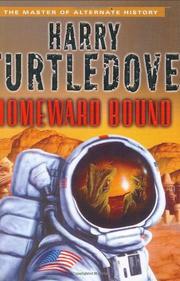 Through numerous novels, Turtledove (The Guns of the South, 1992; How Few Remain, 1997, etc.) has plotted out what might have happened if a certain reptilian race had decided to invade Earth right in the middle of WWII. The fun resulted in the Worldwar and, later, the Colonization series, which Turtledove theoretically intends to wrap up here. It’s the late 1970s, and the aliens (known to themselves as “the Race,” to humans as “Lizards”) have settled into a sort of détente with humans (whom the vertically challenged race calls “Big Uglies”). Already nervous because they’ve never been able to lay claim to the Earth’s entire surface and because mankind is swiftly surpassing them in technology, the Lizards are further unsettled when the humans launch an armed exploration vessel on the twenty-odd-light-year voyage to their own empire’s home planet. On board the ship is a rather colorless lot of individuals chosen for an ostensibly diplomatic mission—the only standout is Worldwar series star Sam Yeager, who’s persona non grata on Earth for his role in the cruel-but-necessary atom-bombing of Indianapolis and who understands the Lizards better than other humans. Turtledove pushes the narrative through hundreds of monotonous pages on the Lizard homeworld as the painfully slow diplomatic process grinds on, with the Earthlings hard-pressed to make the Lizards understand that a race barely a fraction as old as theirs deserves to be treated as equals. There’s the slightest hint of melodrama concerning a woman who was raised by the Lizards away from human contact, and a bare pulse-raiser when a faster-than-light ship (ominously named the Commodore Perry) arrives from Earth. Otherwise, it’s just more of Turtledove’s usual wallpaper-dull prose, with characters one level removed from automatons. More ambitious themes are barely developed in a volume that ultimately seems to serve merely as a catapult toward another interminable “what if?” series.